School of the Art Institute of Chicago is college with 2714 students located in Chicago, IL. What is a typical School of the Art Institute of Chicago student like? Describe the type of person that should attend School of the Art Institute of Chicago. What are the top 3 reasons someone should attend School of the Art Institute of Chicago? What was a typical School of the Art Institute of Chicago student like in high school? Describe the type of person that should attend School of the Art Institute of Chicago. Founded as the Chicago Academy of Design in 1866, its purpose was to provide a challenging education in the studio arts and exhibition opportunities for its students. The School incorporated as the Chicago Academy of Fine Art in 1879, and changed its name to the Art Institute of Chicago in 1882. The Museum and School moved into a building designed and built for the World's Columbian Exposition in 1893. 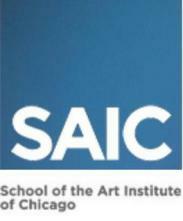 Today the School is known as the School of the Art Institute of Chicago (SAIC). What are the top 3 things that students do for fun at School of the Art Institute of Chicago? 21% of students received Pell Grants, which are provided by the U.S. government to students from middle and lower income families. It gives you an idea of a school’s socio-economic diversity. The average student pays $43,489 for tuition, fees, and other expenses, after grants and scholarships. Total stated tuition is $39,810, in-state and on-campus, before financial aid. Learn more about financial aid at http://www.saic.edu/life/financial/financial_aid. Estimate the net price for you at http://saic.studentaidcalculator.com/survey.aspx. The typical (median) early career salary of School of the Art Institute of Chicago graduates is $35,900, according to Payscale. Want more info about School of the Art Institute of Chicago? Get free advice from education experts and Noodle community members. What are some notable alumni from School of the Art Institute of Chicago? Does career services help with networking opportunities?